I first came across the lead quote in the (excellent) book Born to Run, and I was immediately struck by the parallels to the employment market: in the workplace, every one of us is a gazelle, and there are lions looking for our jobs. Too often, I see and hear about complacent employees who are in a comfortable state of cruise control, oblivious to the realities of professionalism. Here’s what most folks fail to realize: every single job is up for grabs, and it only takes one lion (job seeker) out of all of them to be better than you or to show more promise for you to be out of work. Just one. 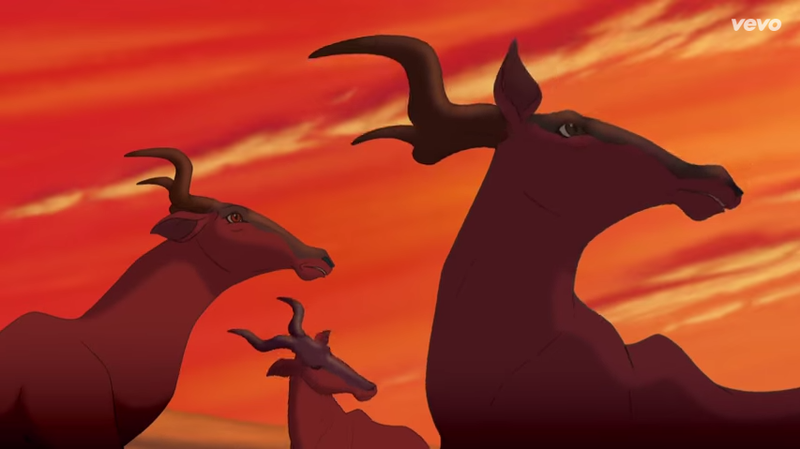 Hm…are those even gazelles? Well, regardless, the metaphor still stands. Everyone’s a gazelle. That’s the harsh reality of being a professional. We’re all replaceable, and if your job is worth having (and it always is, to someone), then there’s at least one person who wants it. If they want it more badly than you do, and they’re qualified, then look out. It sounds cold, and unfortunately we don’t get a catchy song to make us feel better, but that’s life as a pro. Your manager’s job is to create and run a high-performing team, and if your manager is doing the job well, then he or she is always on the look-out for the best people and is always monitoring the current team. The most replaceable employee is one who is complacent, because he or she isn’t delivering any new ideas, isn’t finding new ways to contribute, isn’t setting a good example, and is a negative drag on team performance. Often, these complacent employees have shrugged off critical/developmental feedback, or experienced only temporary increases in output or quality before reverting back to form. Their performance takes on a sawtooth pattern: briefly up after each management one-on-one, and then a steady decline as complacency sets in again and they think no one’s paying attention. This pattern repeats until it comes to a sudden and permanent end. While everyone’s a gazelle, many people are more than that. Some are super-gazelles, who never let complacency set in and can always stay at or near the front of the herd. These excellent performers are the polar opposites of complacent: they are never satisfied, they’re always trying to contribute more, they push their own limits, and they pull the team to new heights. They’re not lions, because they’re not hunting for anyone’s job; these super-gazelles are happy in their current job, and are intrinsically driven to do the best that they can. And then there’s our inner lion. If we’re out of work, then we’re pretty much entirely lion – always on the prowl, and looking for situations where there are some slow gazelles. But even while we’re employed, and are gazelling along, we might want to pursue advancement or explore a job change, and so in those scenarios we’re a little bit lion and a little bit gazelle. Being a professional, in any field, is transactional: we are being paid to do a job, and if a company or manager finds someone who can deliver more value for money, then they pretty much have a duty to make a swap. It’s not fair to the hard workers, and it’s not good for team performance, to keep low performers. It really does sound harsh, I know, but the flip-side is that it’s also a meritocracy – be effective, and you’ll be fine.